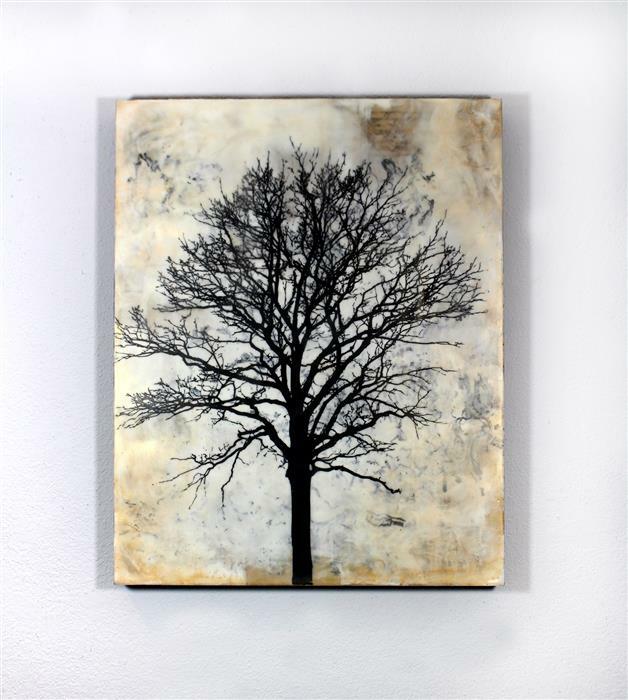 Trees in dreams can be powerful symbols as they represent not only your own self, but your connection to family and heritage. 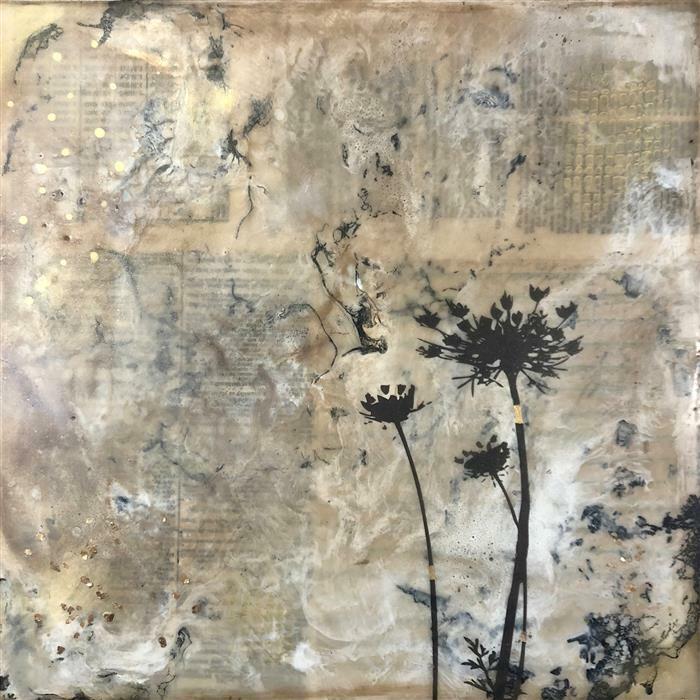 The background of this encaustic painting is made up of a variety of vintage ephemeral materials including old book pages, maps, letters and more. They quietly peek out in sections of the painting and are completely obscured in other areas. 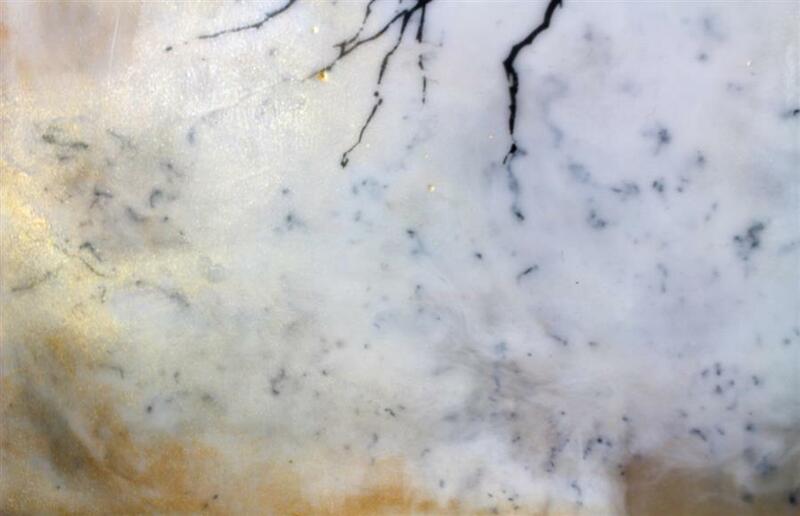 There is a thin veil of iridescent gold mica over the entire piece. 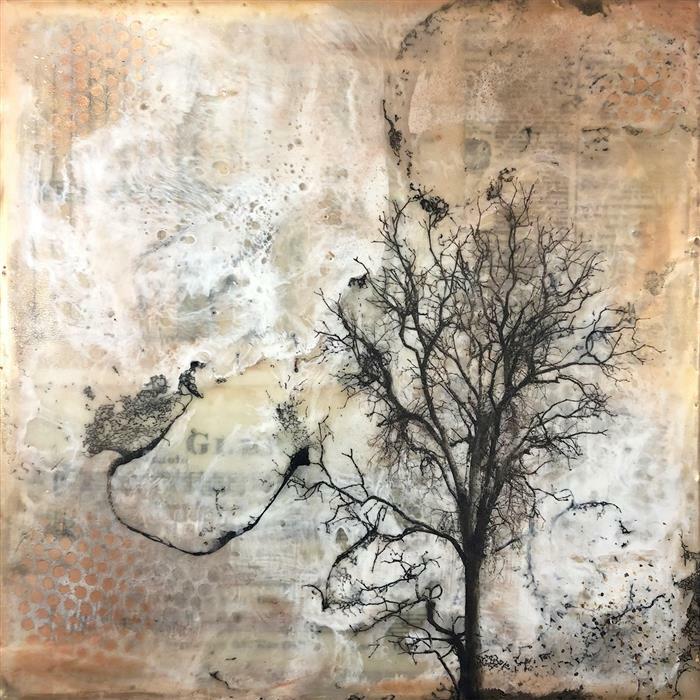 Shannon Amidon is an artist based in Portland, Oregon whose artwork is made with encaustic (molten beeswax) and collaged vintage paper. 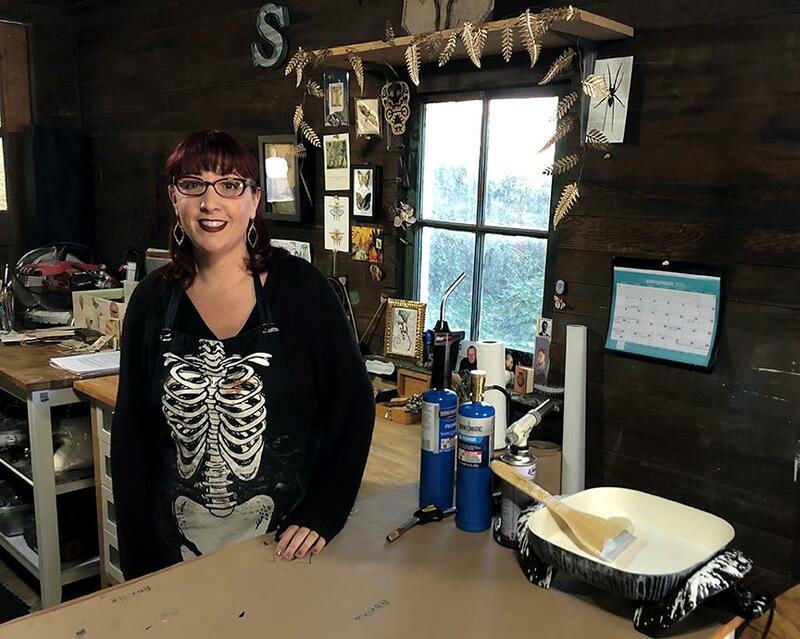 She uses materials that evoke a sense of nostalgia, such as old letters, maps, book pages, and report cards, which she finds at antique stores or estate sales. 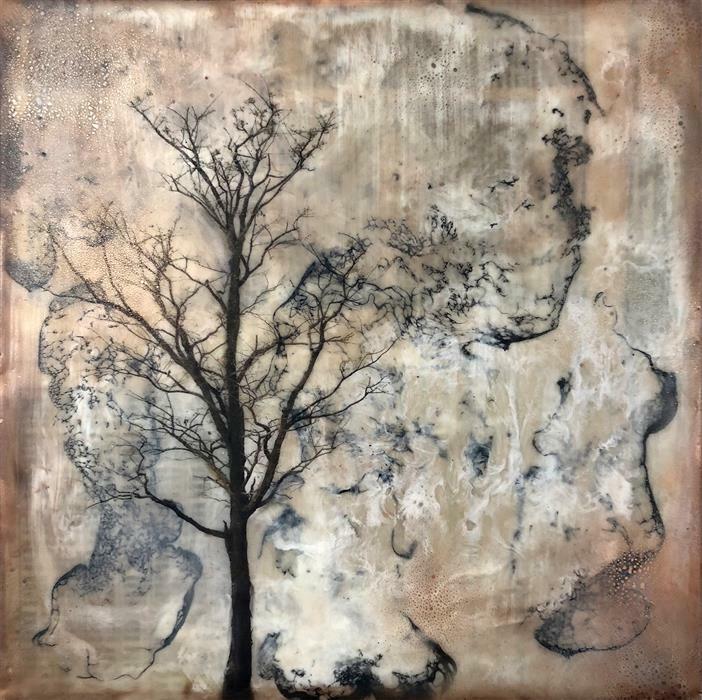 By repurposing ephemeral materials, she gives each piece a history beyond itself, and adds to the personal nature of the art. 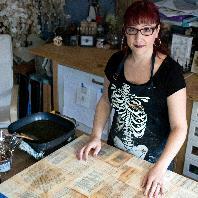 She also makes her own eco-friendly encaustic and oils. 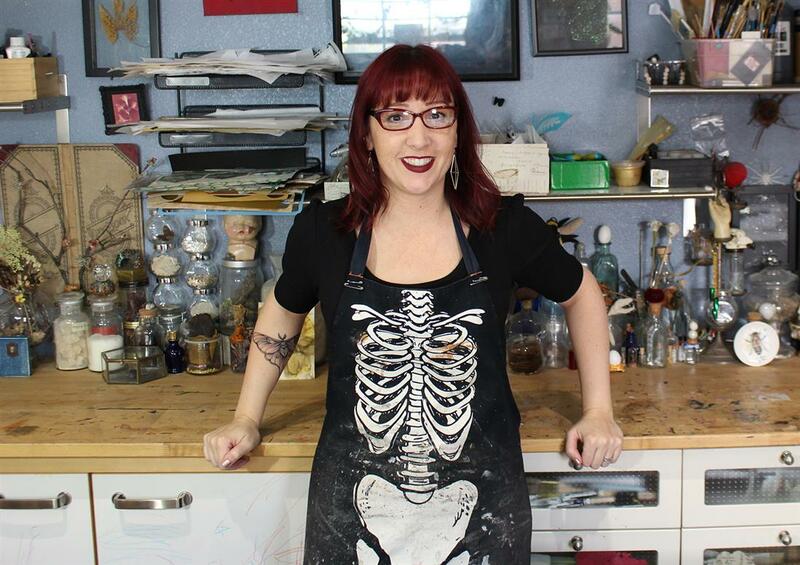 “The environment is very important to me, so I use natural earth pigments,” says Shannon. Her love of nature comes across in the motifs she selects, hinting at both the wonder and delicacy of the cycle of life. Thank you so much! I love creating these little bees. This is a beautiful and unique piece. Hello Alba, Thank you so much, that makes me so happy to hear. I am glad to know it went to a good home! I am thrilled to be a new UGALLERY artist. 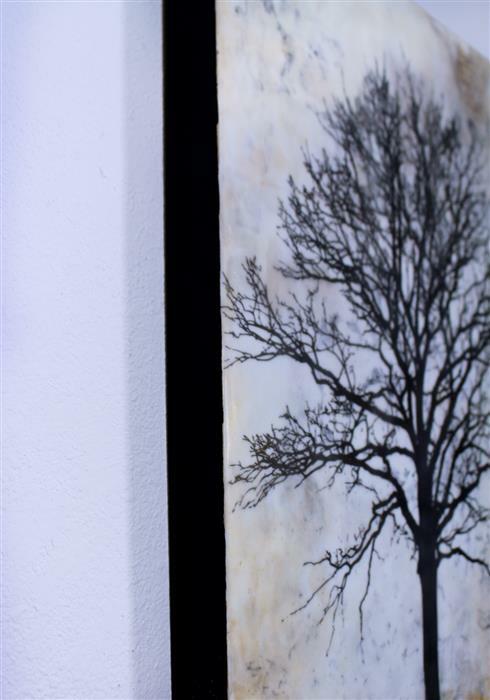 I look forward to adding new artwork and interacting with visitors to my UGALLERY page. 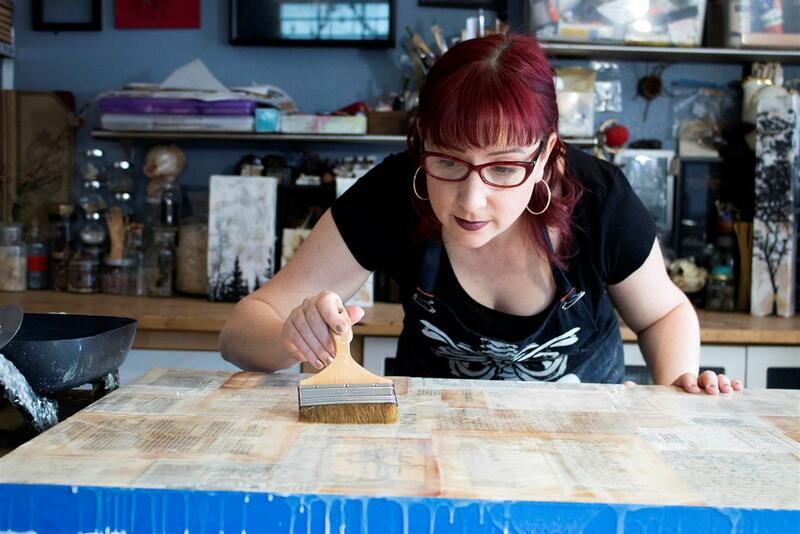 I work in the ancient medium of encaustic. It is a wonderful and versatile medium that has a beautiful luminous quality. If anyone has questions about my art, medium or technique I am more than happy to answer them.